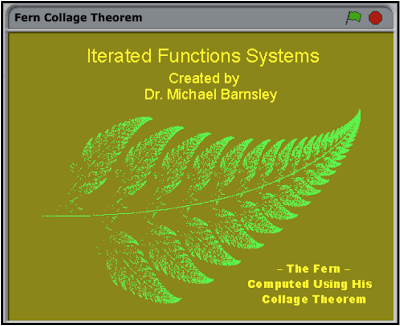 Mathematician Dr. Michael Barnsley, on page 87 of his book, Fractals Everywhere, gives a table containing the coefficients and probabilities for computing the image of a fern using his famous Collage Theorem. The Collage Theorem consists of two linear equations, ax + by + e, cx + dy + f, four transformations w1, w2, w3, w4, and, as mentioned above, the coefficients and probabilities for computing the image. Note: In the Scratch code, I name the transformations w1, etc. as subroutines. The Collage Theorem can compute ANY image. The trick is finding the right coefficients, a, b, c, d, e, and f. Consult his book, Fractals Everywhere, for more information. 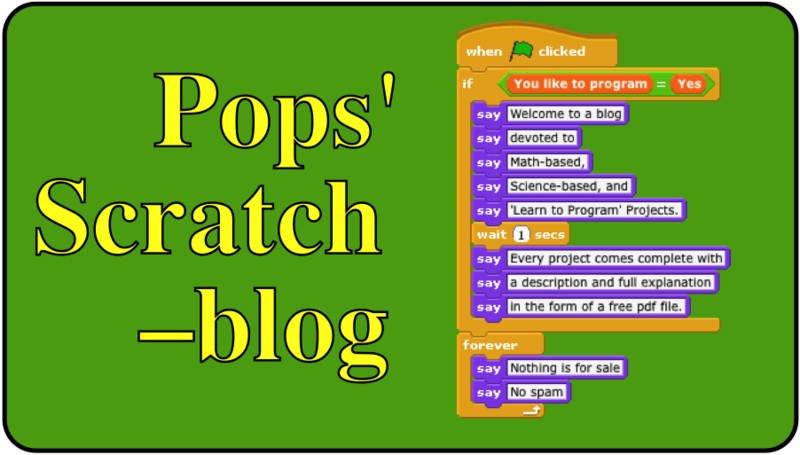 Here is a screenshot of the Fern project I recently uploaded to the Scratch website. 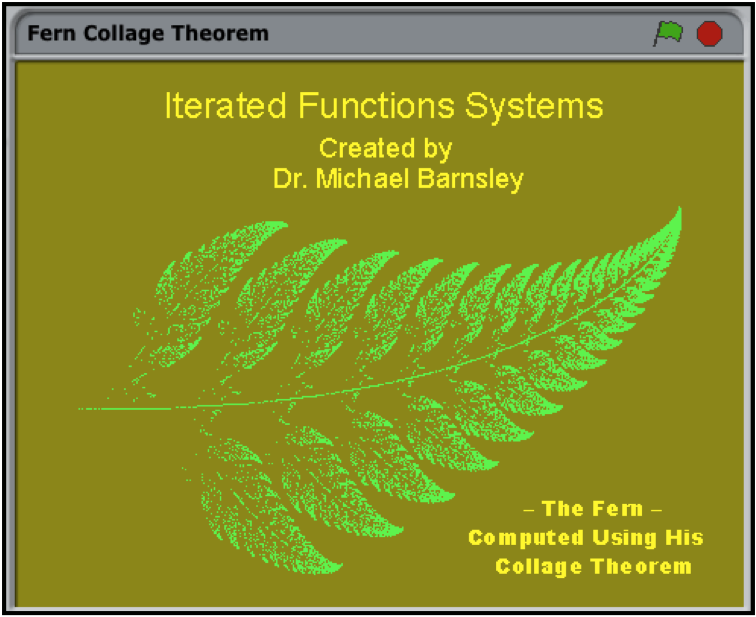 To view the Fern project in Scratch and/or download the project, go to the following link.